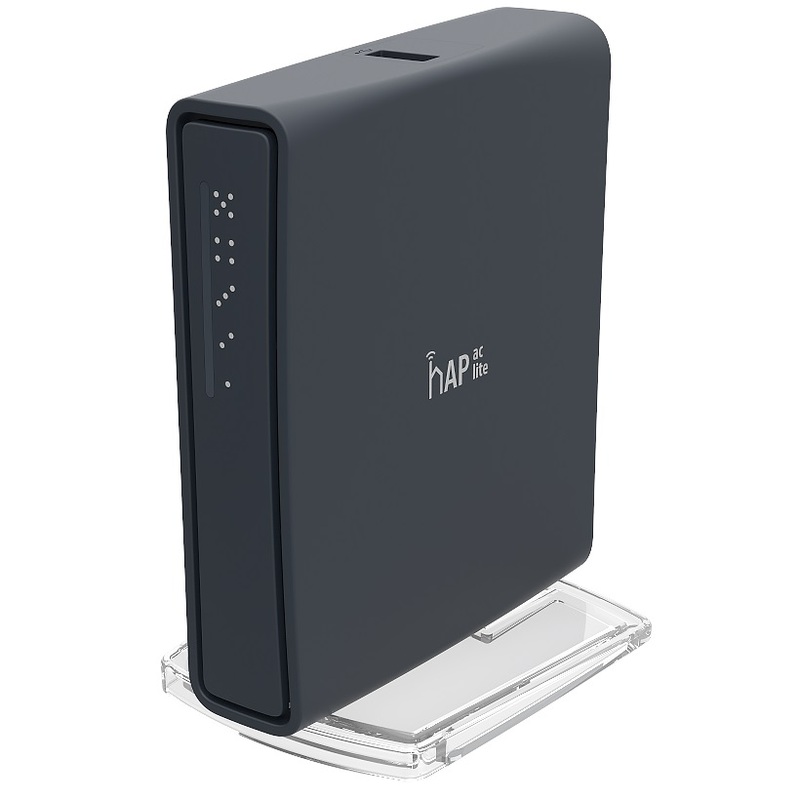 The hAP ac lite is a Dual-concurrent Access Point, that provides Wifi coverage for 2.4GHz and 5GHz frequencies at the same time. Unit is equipped with a 650MHz CPU, 64MB RAM, five 10/100Mbps Ethernet ports (PoE output on port #5), dual-chain 802.11b/g/n 2.4GHz wireless, single chain 802.11ac 5GHz wireless, USB port for 3G/4G modem and a RouterOS L4 license. New design universal case allows unit to be positioned either horizontally (desktop) or vertically (tower case). Wall anchored mounting kit is provided. RB952Ui-5ac2nD-TC-US (USA) is factory locked for 2412-2462MHz, 5170-5250MHz and 5725-5835MHz frequencies. This lock cannot be removed.